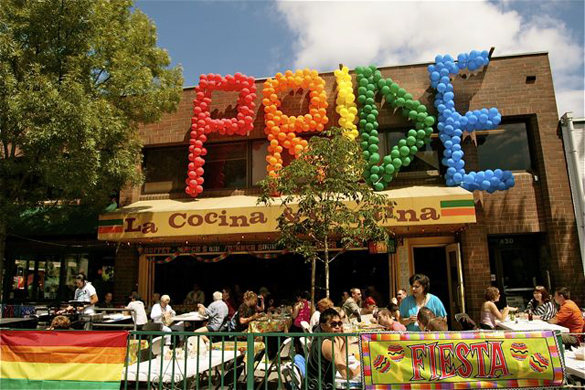 The Los Angeles Pride Parade has become a beloved annual event. Taking place in the heart of West Hollywood, the parade is all about a sense of community, equality, and fun. In recent years, the LA Pride organization has added a music festival to add to the mix. This year, the LA Pride Music Festival in West Hollywood will be from June 10th through the 12th. Tickets to this exciting music festival are now on sale! In years past, huge names such as Kesha, Kelly Rowland, Jenifer Hudson, Fifth Harmony, Ciara, Tinashe and Danity Kane have all performed at the main stage. This year, you can be sure that there will be incredible artists set to perform as well. While the official setlist has yet to be announced, the LA Pride music festival never disappoints. Prepare yourself for three full days of hard hitting music that will make you want to get up and dance and have a good time with the community around you. Last year, the festival had over 50,000 attendees, making it the largest ticketed music event in Los Angeles. This year, it’s going to be bigger and better than ever so it is definitely something you won’t want to miss. If you will be staying at one of the local hotels in West Hollywood, be sure to stop by this event.